Fullerton India Credit Company Ltd (Fullerton India), a leading organisation in non-banking financial space, has launched the second round or Appathon round of Finnovatica programme this year. The company’s Finnovatica programme, which enters the second year, is a platform that seek out ideas of talented students for developing innovative digital solutions that can be used to redefine the retail and rural lending landscape in India. The Final Arena: In the final stage, the shortlisted teams give a demo of their fully functional prototypes and after that the winners are announced. Finnovatica programme, this year, has got an active participation from around 200 students from six premier engineering institutions from across the country. 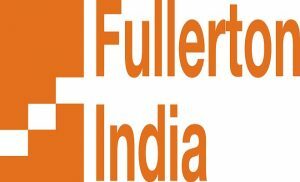 During the second round, the aspirants will be counselled and mentored by senior executives of Fullerton India, on the business viability of their ideas. The ideas presented by the participating teams at the programme will facilitate utilisation of new technology to improve customer experience, introduce innovative ways to redefine business processes and discover new channels for customer acquisition. “We will continue to support these bright minds to create new technological solutions and guide them to transform their ideas into scalable business models. This initiative is a part of our overall agenda of being a digitally-driven organisation to offer enhanced consumer experience,” she added. Fullerton India has been dedicated to enhancing customer experience and to increase its reach through the digital assets development by using unique initiatives for ensuring speedy and hassle-free loan processing.